We’ve heard our fans (yes, that’s you!) talk about a concept we love: Sunday Dinner. The idea is that once a week, usually on Sunday, families gather for a meal. Sometimes it’s just the immediate family, other times extended family and friends come too. But regardless of who’s invited, at its roots Sunday Dinner is about togetherness. It’s about catching up on everyone’s lives over a piping hot casserole. It’s about sharing stories between forkfuls of grandpa’s homemade enchiladas. It’s about taking the time to savor each other’s company over good food. The meal is the common ground over which conversation blossoms, bringing people closer together. Often literally closer, when everyone pitches in to help make the meal. Heads bent over recipe cards that have become soft and thin over the years. Hands working in harmony to cut, grate and sauté. Whether this is already a regular gathering in your home or a new tradition you’d like to start, we’ve collected a few of our favorite tried and true recipes for you to try out at your next Sunday dinner. The homemade chicken Alfredo sauce makes this fettuccine recipe extra special. 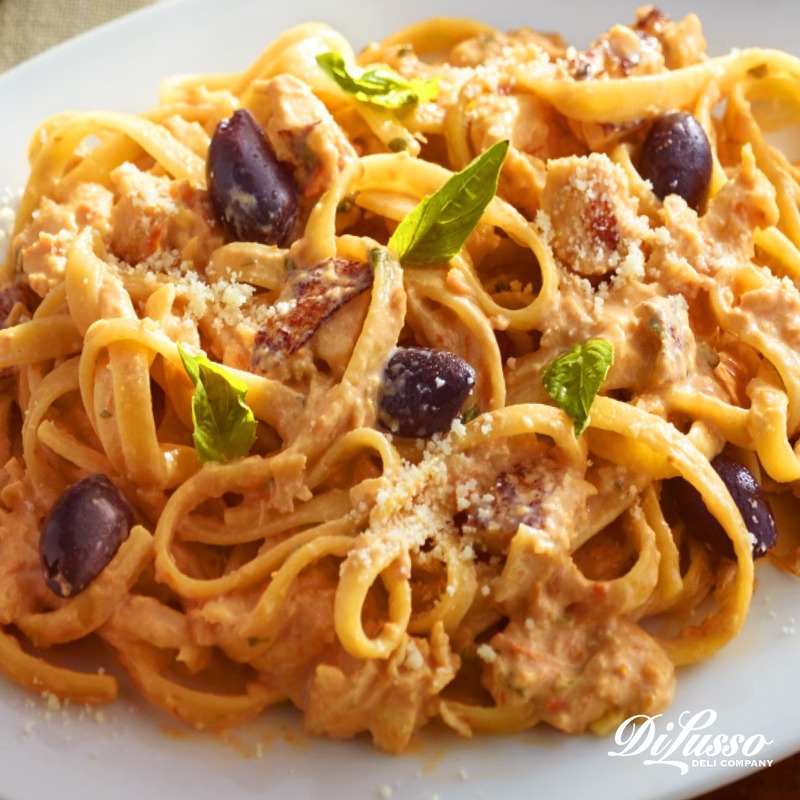 Simmered with ingredients like aromatic garlic, finely grated parmesan, sun-dried tomatoes and oven roasted chicken, this sauce is chock-full of savory flavors. Fresh basil leaves and kalamata olives bring it to a delicious finish. Pair it with vegetables roasted in olive oil and seasoned with ground black pepper, garlic powder and freshly grated parmesan. 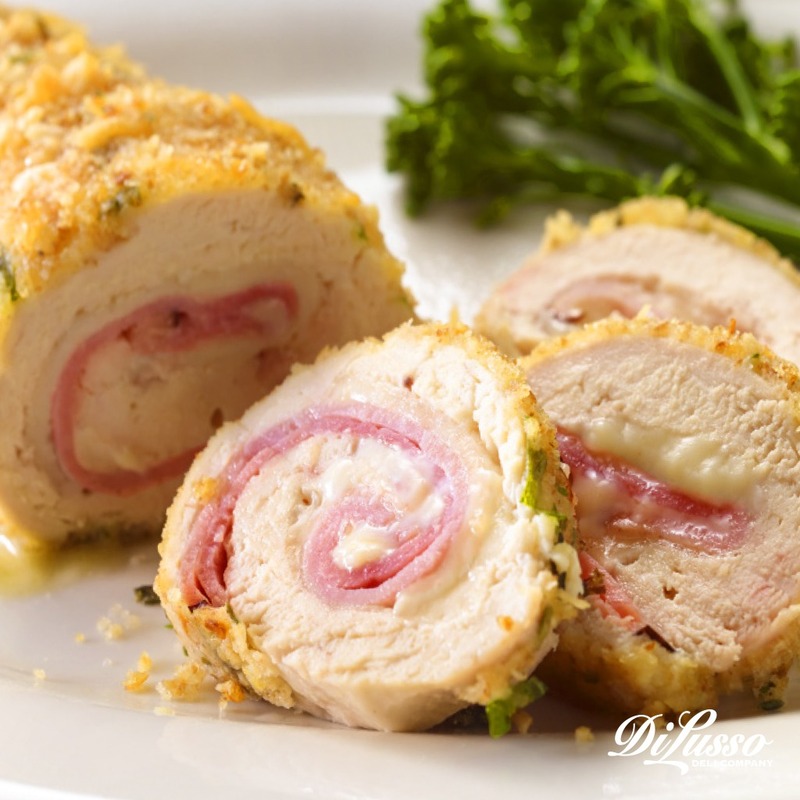 For the adults, a glass of dry white wine will complement the creamy sauce. 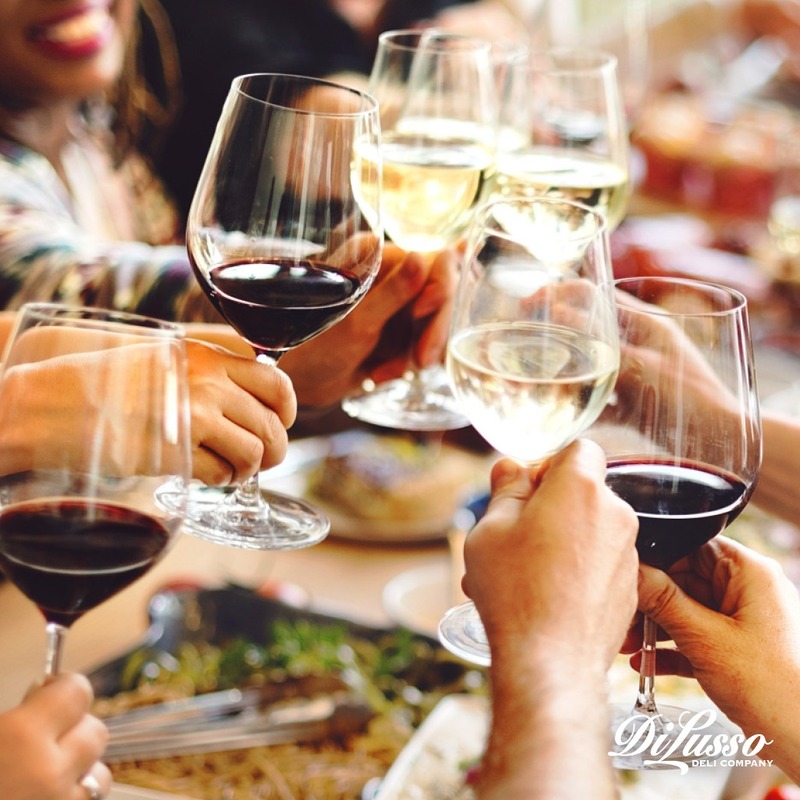 Think along the lines of a Sauvignon Blanc or Pinot Grigio. For the kids, a slice or two of garlic cheese bread is sure to keep them in good spirits. This is a great recipe to make together because it’s easy for everyone to pitch in. 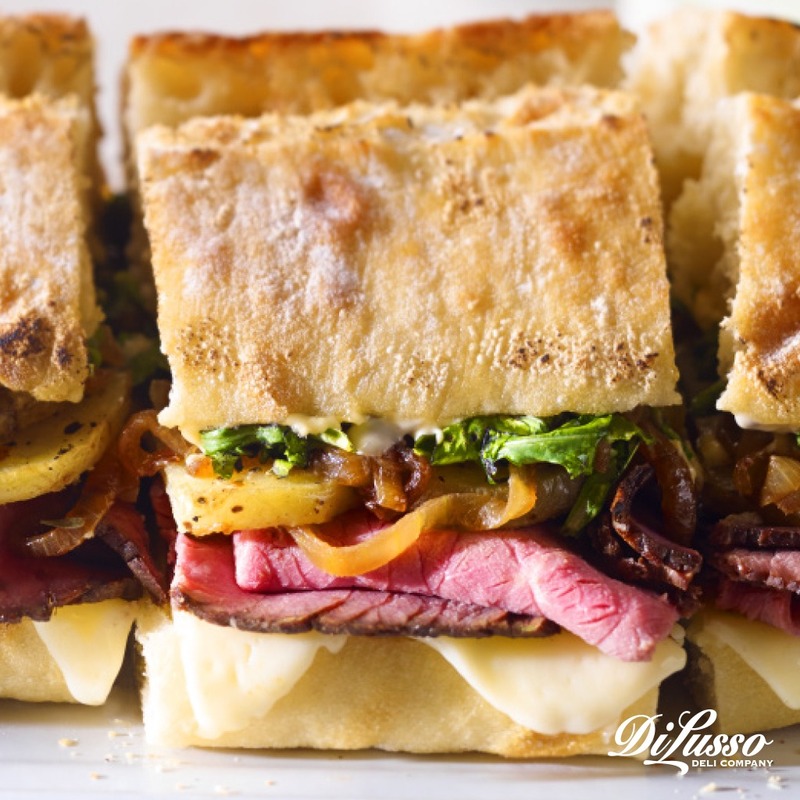 Someone can caramelize the onions until they’re a rich, golden-brown color, while others can prep the potatoes, mix the spices and start layering the ciabatta with arugula, havarti cheese and seasoned Italian roast beef. For a toasted version, broil the ciabatta with a few slices of cheese before adding the rest of the toppings. Soup is the sandwich’s better half, and for good reason. When they’re together, they know just how to warm the soul, making them a great combo for this special time with family and friends. Try serving a soup that’s full of flavor but easy to make, something like French Onion, alongside this sandwich. 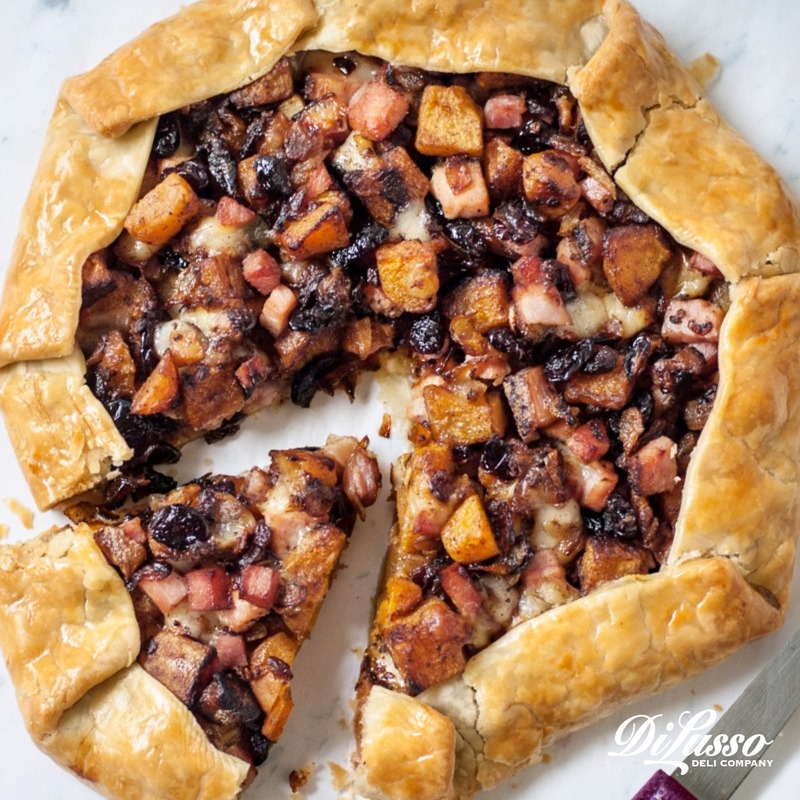 As delicious as it is beautiful, this sweet and savory galette is filled with fall favorites like dried cranberries, butternut squash and cinnamon.smoked cracked pepper ham and Swiss help balance out the sweetness with their savory flavors. Perhaps best of all, this recipe is a lot easier to make than it looks, and it’s even easier when you have helpers in the kitchen. One person can shape the crust while others help caramelize onions, sauté the butternut squash and whisk together the spiced egg wash. You can make one large galette to share, or a few personal-sized galettes. We’ve noticed that the personal-sized galettes are often a hit with the little ones. A comfort food if we ever knew one, these rolls are filled with melty baby Swiss and Black Forest ham. Then they’re blanketed with a savory mixture of melted butter, garlic and seasoned breadcrumbs. And after they’ve been baked to golden perfection, they’re drizzled with a velvety hollandaise sauce. People tend to think this dish is incredibly complex, often making comments like “Wow, you didn’t have to make such a fancy dish just for us!” This is your opportunity to tell them how simple it is and offer up the recipe so they can share it with their own family and friends, spreading a little bit of delicious joy beyond your table. 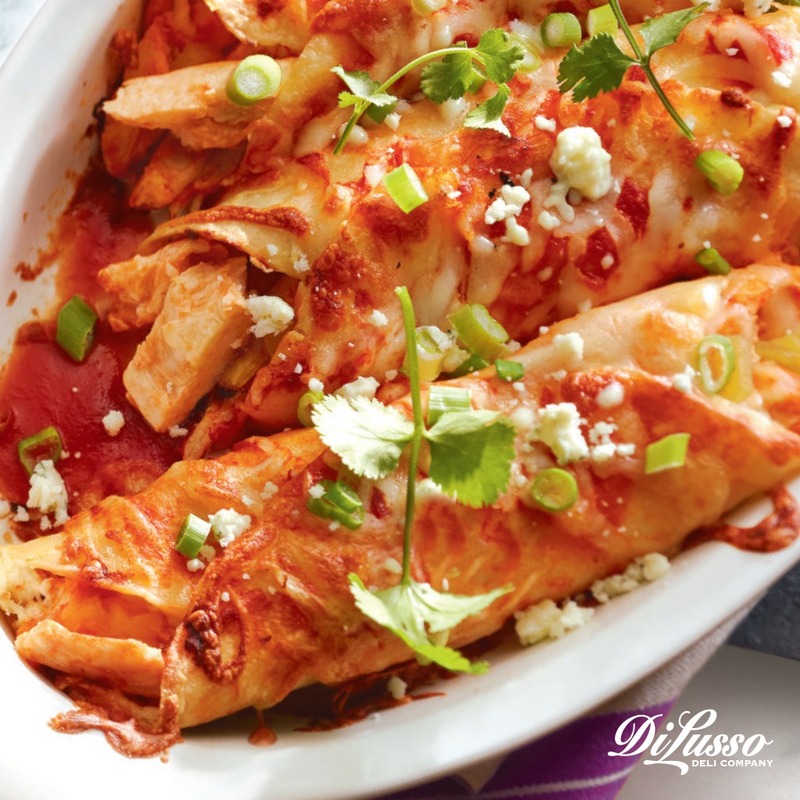 If your Sunday Dinner companions like it hot, these spicy enchiladas are the way to go. The first wave of delectable heat comes from buffalo chicken, which is followed up by hot sauce. Chili powder gives it that final blast fiery flavor. You can kick it up another notch by adding pepper jack cheese. If you have sensitive palates at the table, you can temper the heat by using more mozzarella and less chili powder. You can also swap out the hot sauce for a milder variety. Cilantro lime rice and beans (either refried or black) make excellent side dishes, while margaritas make excellent drinks.